Deactivating your coaching is simple. You can make changes at any time by editing your Coach Profile page. 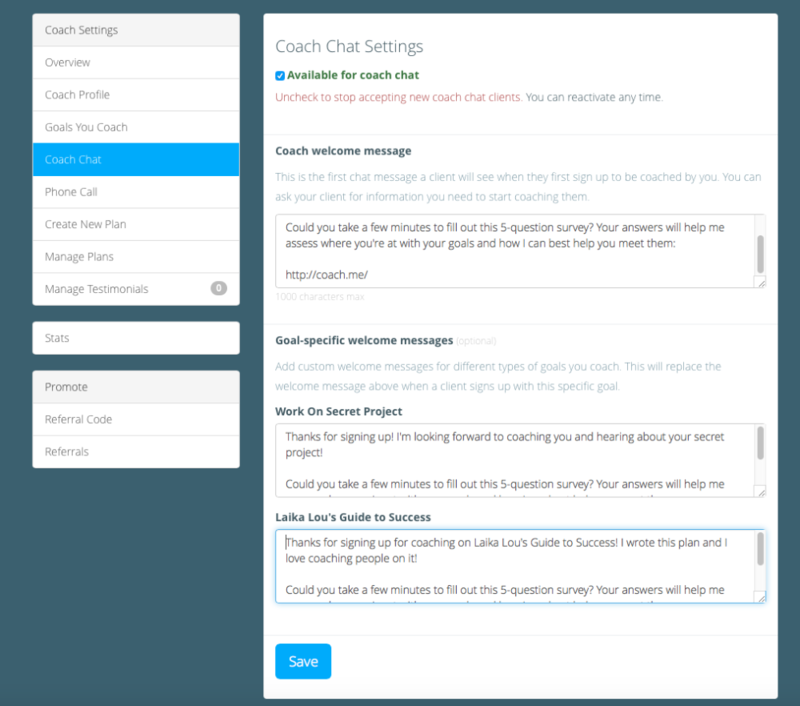 If you'd like to deactivate your chat based coaching, tap on the Coach Chat tab. Then uncheck the box next to "Available for coach chat". Then be sure and click SAVE at the bottom! 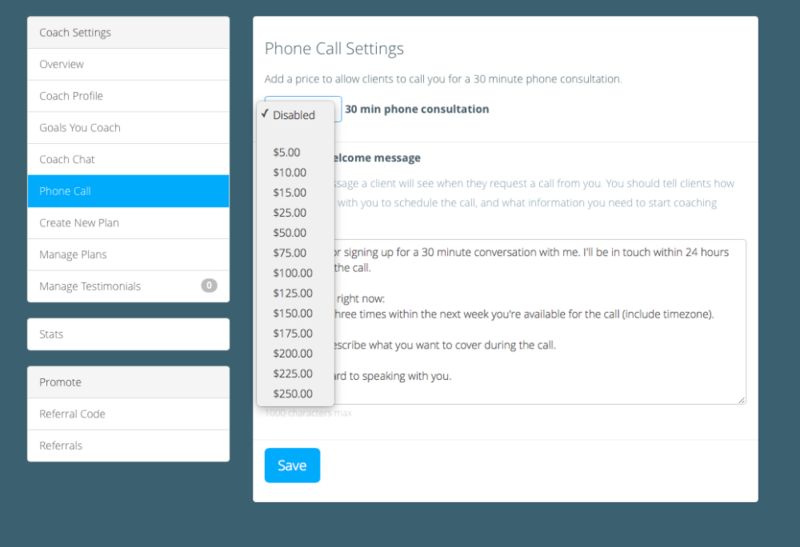 Please note that disabling your profile for coaching chat only prevents new clients from signing up. It has no affect on existing clients! If you no longer want to coach, please contact your existing clients and refer them to our documentation on how to switch coaches. They must do the cancellation themselves or they can contact us at billing@coach.me for assistance. Contact us yourself if you feel you need to initiate a client cancellations for any reason; we can do that for coaches on an ad hoc basis, so give us some details about what's going on.